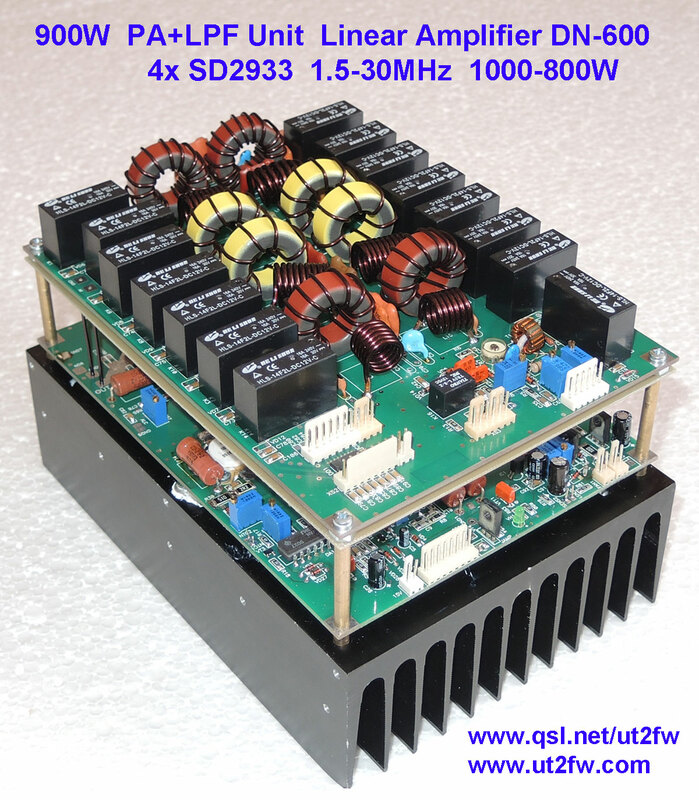 In PA Unit can be used MOSFETs: SD2933, SD2943, SD4933. With up to 1200W output power. With using MRF150 or BLF177: up to 600W output power. Unlike previus versions PA Unit for DN-600, this version have additional stabilizing BIAS integrated, increased transformers size. Changed diagram and PCB topology. 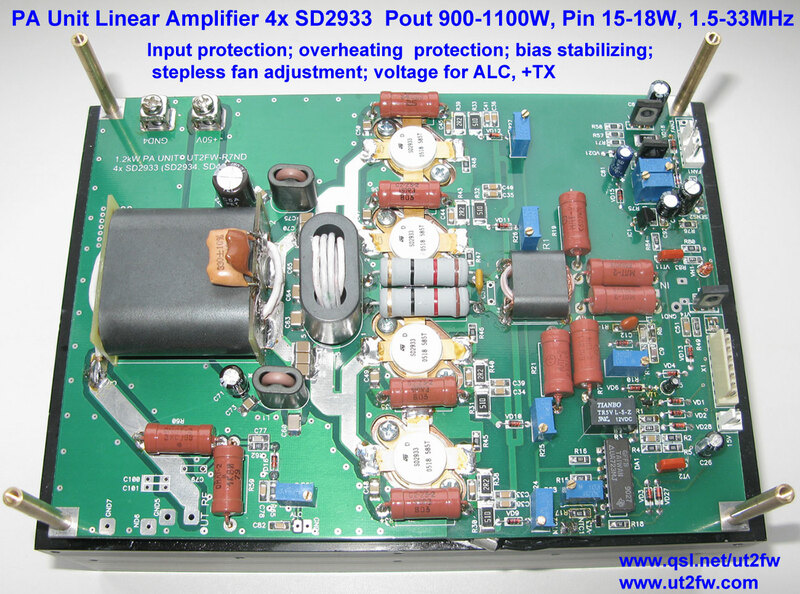 With those changes, possible to obtain up to 1000W on all bands 1,8-30MHz. 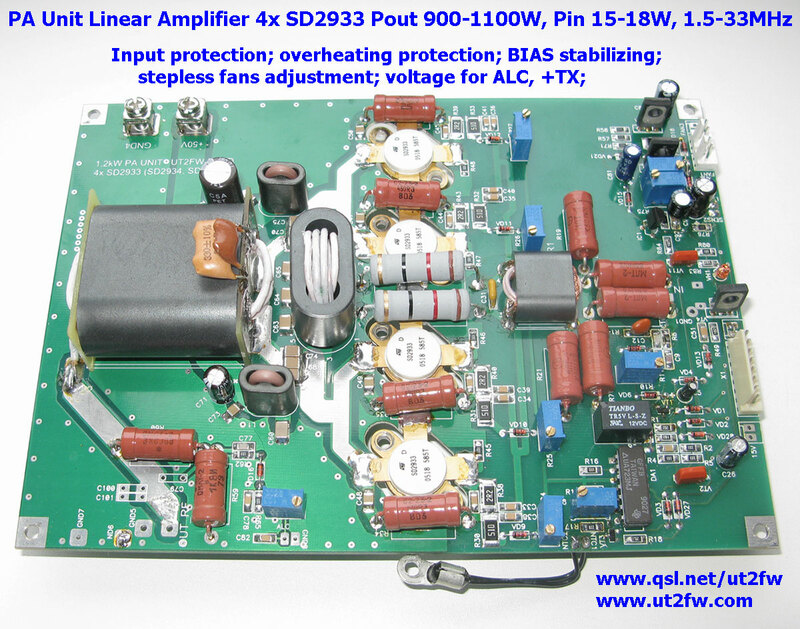 The amplifier runs of +50V and with 1000W. With +52-54V - the power increased up to 10-15%. With 45-48V – the power decreased up to 5-10%. 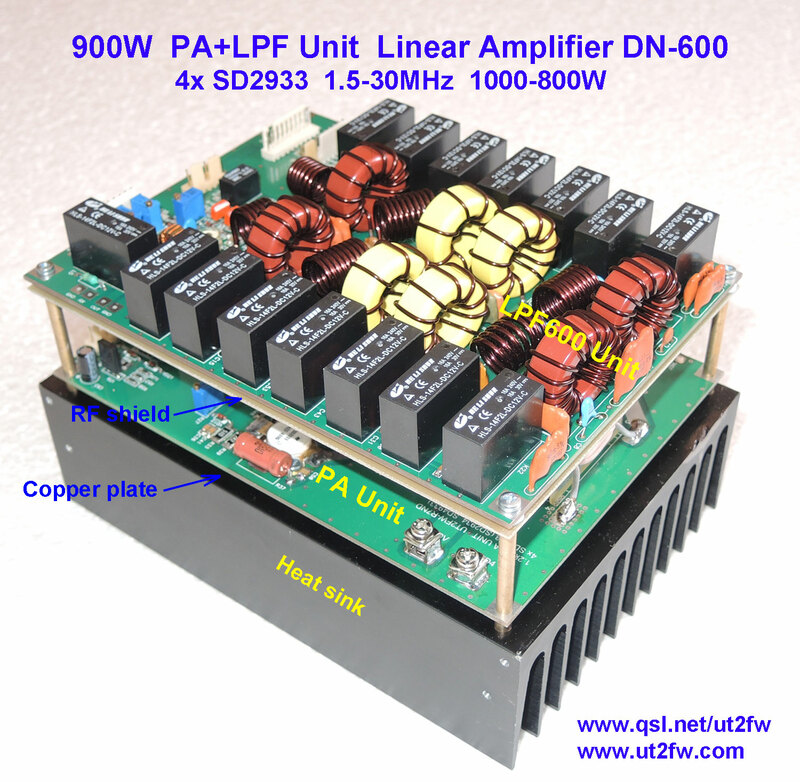 PA Unit schematic will be included on CD. The power measurement was measured with following set (the set photo is located below).